Seventh time was the charm. For the first year ever, PR agencies won more than half the gold Lions in their own category (10 out of 17), with a record number of 1,969 entries and highest participation rate since inception. “A sign of increasingly robust health,” affirms Paul Newman, President of North America at MSLGROUP. Clearly, we are moving in the right direction. As the industry continues to reflect on what many consider a breakthrough year for PR at Cannes Lions, one area still remains noticeably absent – small and mid-size firms. Why is this? The high cost of competing and attending the festival predictably prices out smaller shops that don’t have the bandwidth or the budget. Moreover, after surveying several of our mid-size member firms, there’s a lack of awareness about Cannes Lions and our industry’s relevance. The question becomes, what makes this festival worth attending and why is it important? Although it was our top performance so far at Cannes, public relations needs to continually reinforce our presence as we venture into uncharted territory. We need to be where our competitors are. And we need to be where our collaborators are. Cannes is a breeding ground for creativity and innovation. This is where the greatest minds in the world collide – we have a golden opportunity to build new relationships with top agencies, talent, media, and technology providers. Which is why this event is so important to continue our growth as an industry. 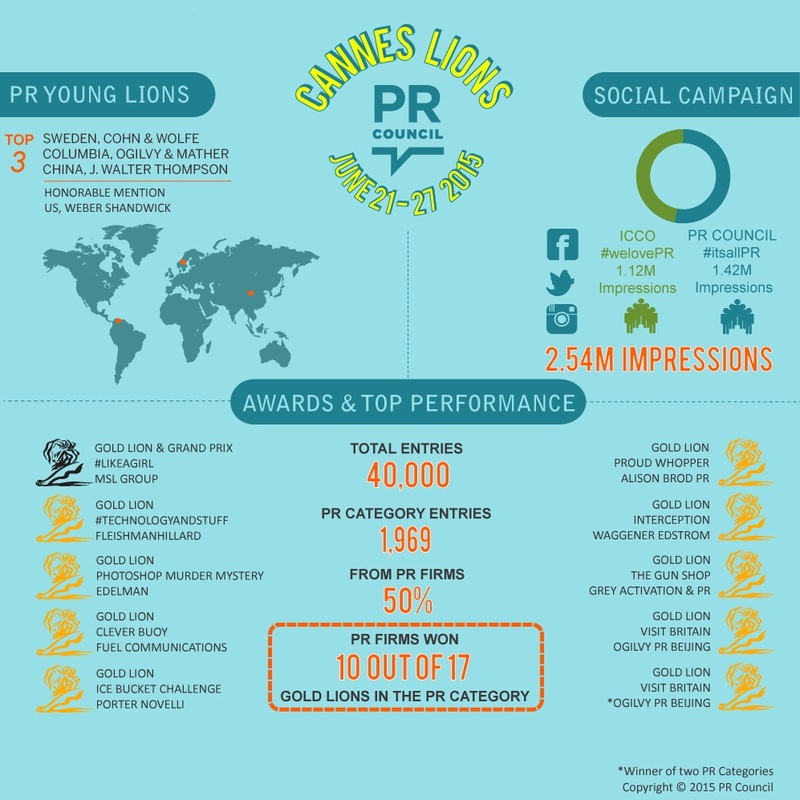 In all, there were 40,000 total entries spanning all categories at Cannes Lions 2015 – roughly 2,000 entries in the PR category – about half coming from PR firms. “While better than ever, the PR industry needs to be bold and showcase their integrated efforts to elevate their profile and showcase to brands how they can lead,” Werner continues. And this applies not just to the PR category, but other mixed discipline categories as well. Ketchum, among other top tier global firms have taken the first strides, entering work in numerous categories outside of PR – including media, social, and creative effectiveness. These are the steps required to get the recognition and visibility our industry needs and deserves. We can celebrate our achievements for now, but let’s not forget the big picture. Like we say here at the Council, #itsallPR. Embrace it, own it, and get involved. Why Are We So Obsessed with Creativity?